Find, Process, and Update Hundreds of Customer Records at a Time. JCAMS® is a customizable window into your customer data. The image shows various user-configured search fields at the top, followed by a list of folders, Accounts, and Contacts, and then mass email, mass move, mass delete, and mass update controls at the bottom. 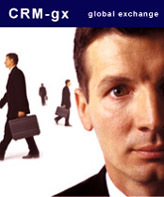 JCAMS® is CRM-gx's client/ company search tool. Over 2 years in the making, JCAMS® innovative technologies make it the world's most advanced Account Management system. Like our other systems, it is designed to save time. JCAMS® allows you to define which customer/company fields to search and display. For example, if your business tracks four specific fields for all clients, you can define and display those fields for every record. In other CRM systems, search results show contact and company name fields, forcing you to open each individual record for more information. This is particularly irritating for fields you want to view on every record. The search tool in competing CRM solutions searches by contact or company name. However, what if you want to search by telephone prefix, gender or email address? Getting the dataset you want in other CRM systems requires a time-consuming SQL query or management report. JCAMS® eliminates the need for most management reports by allowing each user in the organization to define search fields and result fields. In the example below, an organization has defined 4 custom fields, Type, Active, Grouping, and Workflow. JCAMS allows every person in the organization to display and search these fields directly. It takes seconds to configure JCAMS to display the fields you want. Once configured, every search delivers the information you need on every record, without having to drill down. When you're managing client relationships, you want to spend your time with the client, not with your CRM system. That's why CRM-gx puts the power of 16 Direct Action Controls (DAC) on every record. DAC buttons in JCAMS® allow you to complete common account management tasks instantly, rather than requiring you to enter other subsystems where you must manually associate a client with an action. These 16 one-click controls are a key reason why CRM-gx is 600% faster and easier-to-use than other leading CRM solutions. It's also another reason why HydraNet CRM-gx is the world's only "5 minute a day" CRM solution. Diagnose your business and try the remarkable JCAMS® now. One time-consuming characteristic of most CRM solutions is that records must be changed one at a time. If, for example, you must update the status of 30 records, you have to perform 90 actions to make the required changes. By contrast, with JCAMS®, select the field you wish to update, set the new value, mark the records to update, and click Update. All 30 records are updated instantly. Tasks that take organizations hours,take seconds with CRM-gx. While the obvious benefit is the time saved, the more important benefit is that this single system may make the difference between success and failure of your CRM implementation. With features like mass update in JCAMS®, your team enjoys the benefits of a spreadsheet AND the power of CRM. With these CRMgx benefits, the likelihood of a successful CRM implementation increases exponentially. In the image below, note the "Workflow" drop list and the associated button marked "update." Your team can choose a field from the database to update, such as "Workflow," and then perform record updates against hundreds, even thousands of records at a time. In addition to mass updates, JCAMS® also enables mass movement of records between folders, mass email, and mass delete. A built-in permissions system ensures that only authorized users have access to these powerful tools, and a Recycle bin insures that an administrator has final say over which records are permanently deleted. Note the custom fields and instant update control in the bottom right. These are all part of JCAMS® standard-issue functionality. Let's say your Marketing Manager wants to email all female clients between the ages of 29-36 living in San Francisco to pitch a special offer. In most CRM solutions, if this kind of search is possible, you use a SQL query tool to select the data. Sending a personalized 1-to-1 email and updating the database are separate and time-consuming steps. With JCAMS®, it's a 4 step exercise that takes 2 minutes. JCAMS® is not a dedicated to 1-to-1 marketing tool, dedicated mass email tool or dedicated SQL query system. It is the standard CRM-gx Account Management interface that makes searching by any field then customizing and sending email to any number of users fast and easy. Once businesses realize that JCAMS® replaces entire modules and subsystems found in million dollar CRM solutions. they begin to appreciate why we say that JCAMS® is one of the world's most advanced Account Management systems. Put the power of JCAMS® to use in your organization. Diagnose your business and start a risk-free trial of HydraNet CRM-gx.